The day I picked up my iPhone 5S was a very exciting day. I had taken all the correct steps in backing up my old device so that after a quick restore-from-backup (which turned into half an hour), I was right at home on the new hardware. Having such a speedy, new fingerprint scanning device must have distracted me, because it took nearly a full week before I realized I had not taken advantage of the free downloads that came with the new hardware purchase. During the keynote where the new iPhone 5S and 5C were announced, it was also stated that iMovie, iPhoto, Pages, Numbers, and Keynote would be available as free downloads for all of the new iOS devices purchased after September 1, 2013. So, off to the App Store I went wanting to download $40 of free Apple apps. To my surprise, the full price was listed. Not to worry—I found the solution and it is very easy. 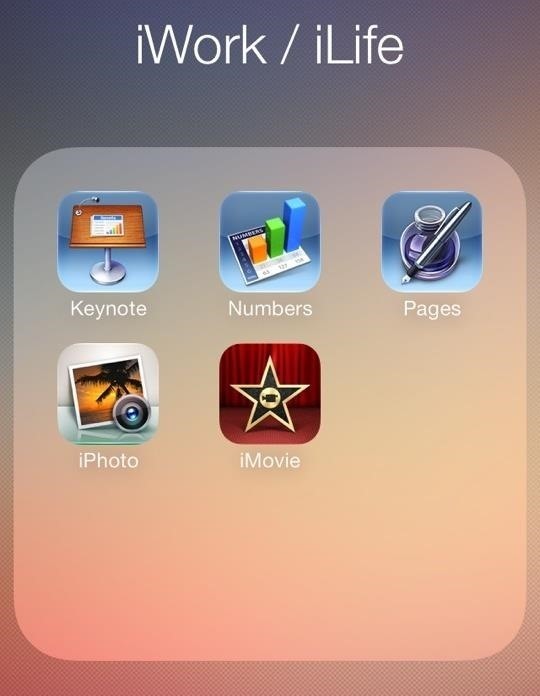 During the keynote, it was stated that users activating a new, qualifying device would be prompted during setup to download these 5 iLife and iWork iOS apps. Since I restored from backup, the device went through the modified setup process and no prompt for the free download was given. After signing out, sign right back in with the same Apple ID. You can now navigate back to the App Store and download the iWork and iLife iOS apps for free (sadly Garage Band is not included in this offer). so excited to find this.....but it didn't work for me. Did you purchase a new iOS device and activate it after sept 1st? Thank you very much. Worked like a gem!!! i tried signing out on the 5S alone but did not work. so i signed out of both pc itunes and the idevice. did tristan's tip and signed back into my US account. then on the 5S, as well. THAT WORKED! thanks everybody!